The Great Oklahoma Classic for October 2009 belongs to Al and Judy Proo of Tulsa. When you try to do something nice for someone you love it usually works out! 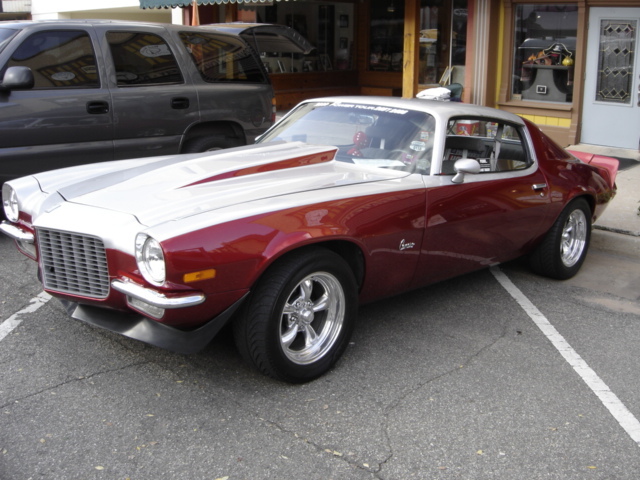 That is the case with this outstanding 1970 Chevy Camaro of Al and Judy Proo of Tulsa. Back in 2004 Al found the old Camaro in Stillwater. He bought the car to be his wife’s (Judy) 25th Wedding Anniversary present. For the next three years the Proo’s worked restoring, replacing, rebuilding, and refinishing every inch of this classic chevy. Any time you rebuild a classic vehicle countless hours of searching and researching for all the needed parts can seem to be an endless ordeal. But, in the end, it all pays off with the finished project. The eye catching paint job was done by Trinity Restoration – Paint. Body. Mechanical - of Tulsa. The Proo’s chose DuPont Hot Hues, Candy Red with a Gold base and Psycho Silver to set this Camaro apart from all the rest. Trinity Restoration, Inc. is high quality vehicle restoration specialist company and really does quality work. The discrete pin stripes were done by: The Wizard. The original seat were completely reworked with new foam and covered with Gray Tweed to create a striking interior look. The entire interior has been Dynomated which really decreases road noise and makes the ride quality inside any vehicle dramatically improved. 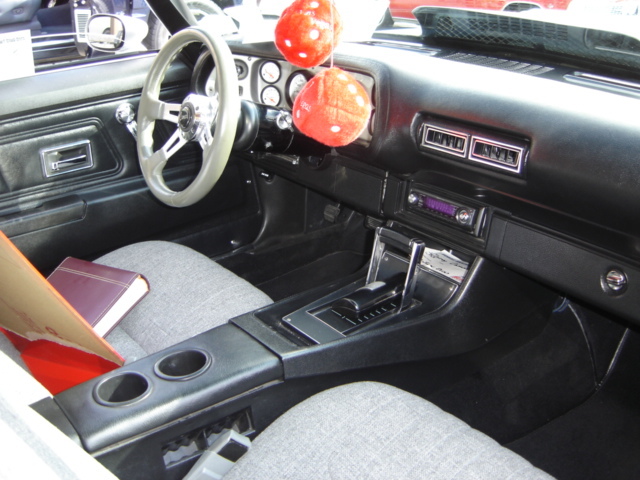 The Proo’s installed a Kenwood Stereo System and new Classic A/C system to complete the better than new interior. Under the hood of this Great Oklahoma Classic is a 406 cubic inch chevy small block with a GM “Hot Roller” cam which puts out 425 horsepower. 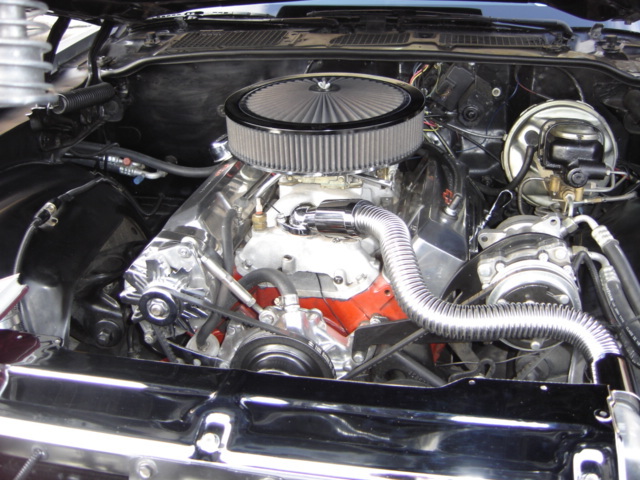 Al chose a heavy duty 700R4 transmission to make the Camaro a 'Long Hauler' with much better fuel mileage. The differential is a GM 3.42 posi-traction unit. 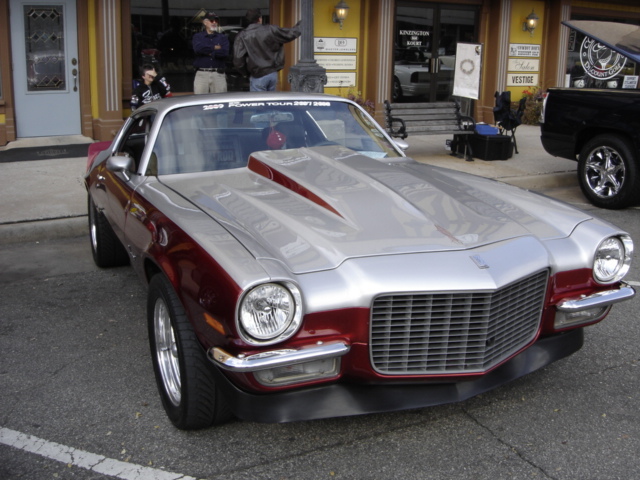 The exhaust system is a Pypes X-pipe designed stainless steel unit with Violator mufflers which bring the Camaro alive when you hit the accelerator. 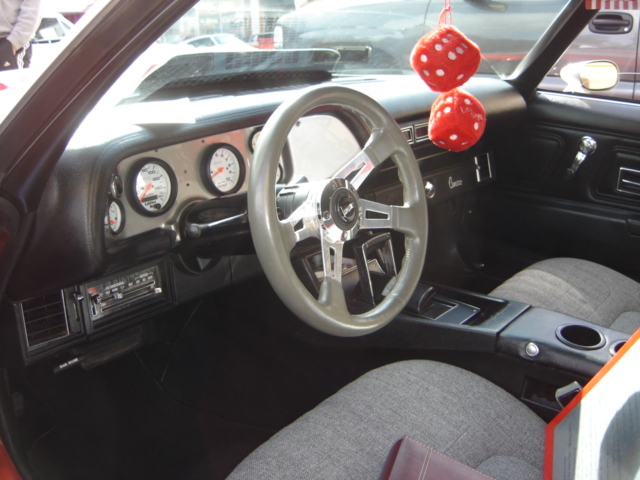 To increase the drivability, sub-frame connectors and front and rear sway bars were installed and the front disc brakes were upgraded, as well as, eleven inch rear drum brakes. 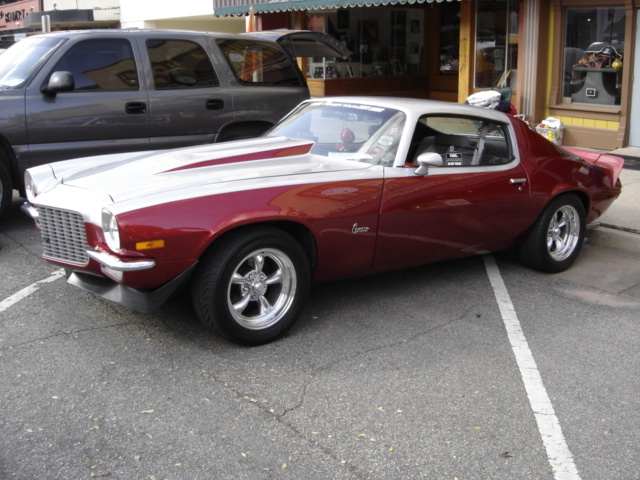 To finish off the drivability the Proo’s added a set of sixteen inch American Racing Torque Thrust II wheels. The front has 16 X 7” and the rear has 16 X 8”. 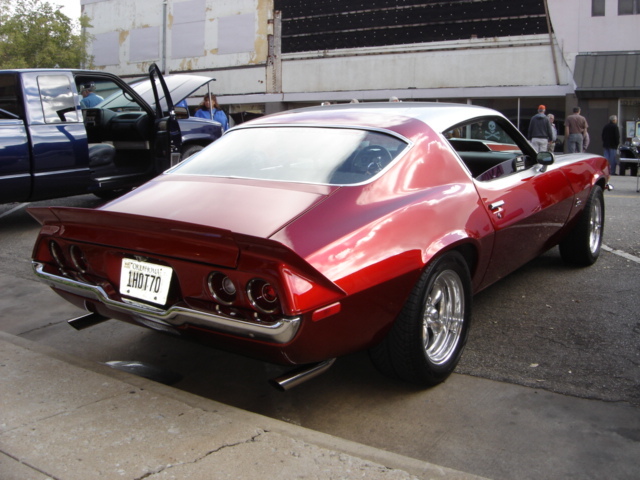 The Proo’s have driven this Great Oklahoma Classic on three Hot Rod Power Tours and many local and area car shows. They have driven the Camaro about 13,000 miles since getting it back on the road and loved every mile! They say the Camaro is a thrill to drive and feel blessed to be able to restore such a Great Classic Car. 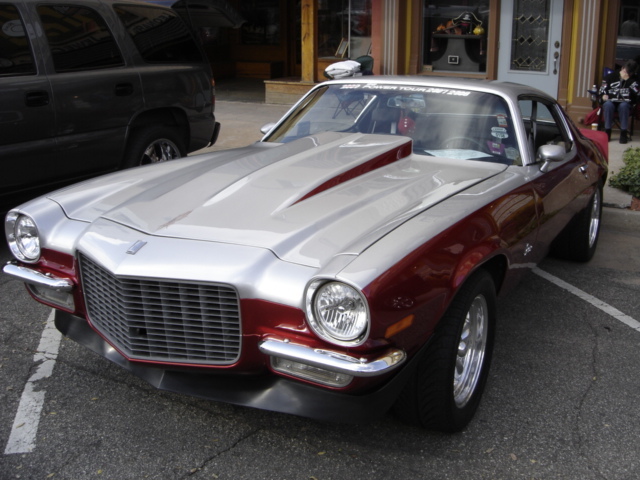 The Cimarron Starlite Cruisers sincerely thank Al and Judy Proo of Tulsa, for sharing their 1970 Camaro as our Great Oklahoma Classic for October 2009!